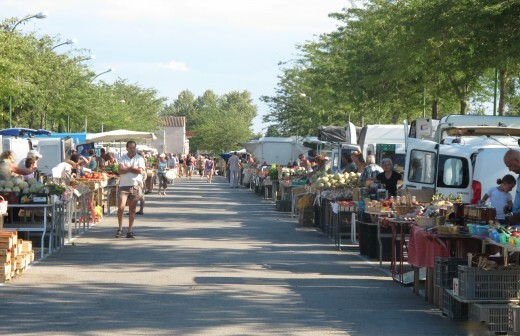 There are weekly markets in the Vaucluse such as Carpentras on Friday, Apt on Saturday and L’Ise-sur-la-Sorgue that combine farmers’ markets and flea markets and a lot of other stuff to boot. 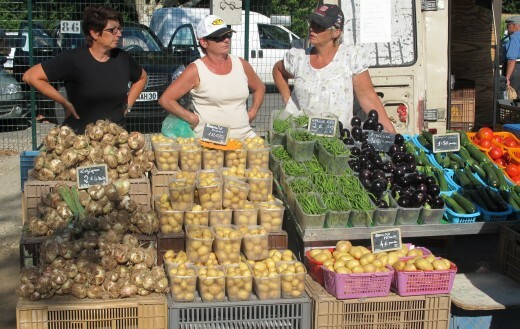 Then you have Velleron, the mother of all farmers’ markets that is a purely agricultural affair. Great selection, great bargains. A daily ritual, except Sundays. 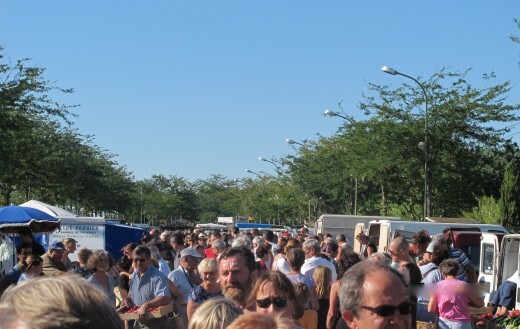 Velleron Farmers' Market at 5:58 p.m.
Velleron Farmers' Market at 6:15 p.m.
Velleron Farmers’ Market: Every day from 6:00 p.m. except Sundays; arrive early for best selection; discounts may be available as of 7:00 p.m. Directions: Velleron is located between L’Isle-sur-la-Sorgue and Pernes-les-Fontaines on D938. 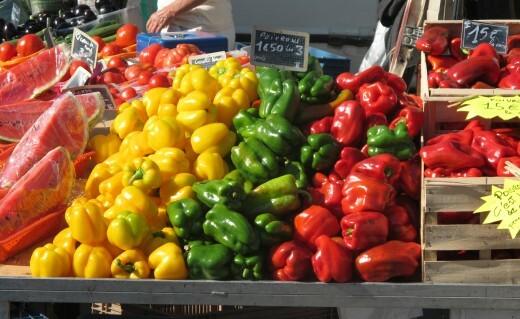 Enter the center of town and follow signs to market. 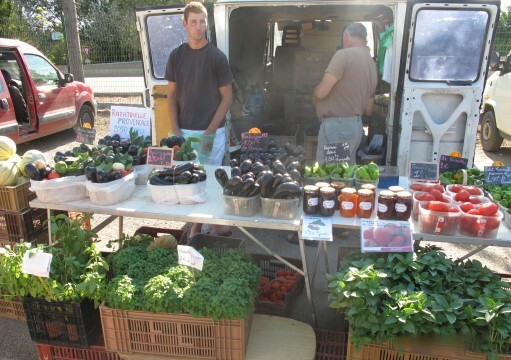 This entry was posted in Food and tagged Farmers Market, Velleron. Bookmark the permalink.